The High Court has nullified a two-year jail term slapped on former Nominated Jubilee Senator Joy Gwendo for Sh1.7 million fraud. Gwendo was sentenced by Anti-Corruption Magistrate Douglas Ogoti last December for fraudulently acquiring Sh1.7 million from a Sacco in Kisumu. She, however, moved to the High Court and was released on Sh400,000 cash bail pending her appeal. In his finding, Justice John Onyiego faulted the trial court for denying Gwendo a fine and ordered that she be sentenced afresh. “The trial court erred by failing to state reasons for not giving the appellant the option of a fine. To that extent, I agree with the applicant that the court erred,” held the judge. “Sentencing is a discretion of the trial court but the sentencing imposed should not be illegal. I find that it was improper for the trial court to impose a jail term without the option of a fine,” said Justice Onyiengo. 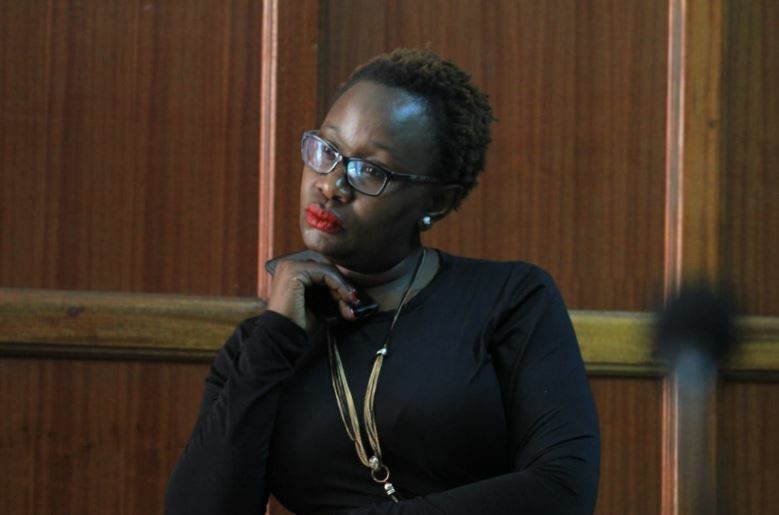 The Judge further added that the High Court has powers to review the sentencing and, therefore, Joy Gwendo will be sentenced afresh on Monday, March 4, 2019. The former legislator had pleaded guilty to three counts of fraud after reaching a plea bargain deal with the DPP Noordin Haji. In the agreement, the former nominated Senator was to pay Kisumu East Cotton Growers Cooperative Sh1.7 million, the amount of money she is alleged to have stolen from the Sacco. She, however, failed to honour the plea deal and was consequently convicted by Magistrate Ogoti.